The 2013 Merriam-Webster Dictionary defines second nature as something a person can do easily or without much thought because they have done it many times before. 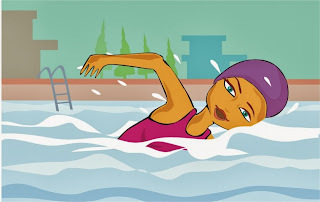 After competitively swimming for 12 years, so much about my experience as an athlete has become second nature. Even though the life of competition seems so easy, the million dollar question for athletes across the board is, what happens after we are done competing? Believe me, it’s a scary thought. Setting that fear aside, I was able to come up with three very beneficial skills that I have gained from being an athlete. These skills have already proven to be very useful as I move closer to my own graduation date. We all know the famous Herb Brooks quote that many athletes truly live by; “the name on the front of the jersey is a lot more important than the one on the back”. Being a team player is one of the greatest skills an athlete can bring to the table as a job candidate. From my own experience, my ability to thrive in a team setting has set me apart from other candidates in job interviews. In reality, having a job is just like being on a team. Everyone on a team must work together and complement each other’s strengths in order to achieve the team’s ultimate goal. Procrastination is a word I have tried to force out of my vocabulary. With over 20 hours a week devoted to swimming, the option of skipping class or homework assignments does not exist in my world. 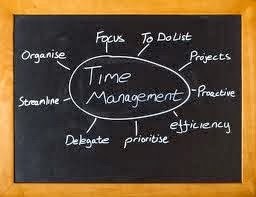 Time management is something many people struggle with, but as athletes, this skill really does come as second nature. Even after my athletic career comes to an end, I know that being able to manage my time effectively will help me in my career. I have heard from countless motivational speakers, coaches, former athletes, athletic directors, and even teachers that one of our most beneficial skills as athletes is our work ethic. People think athletes are crazy for dedicating their whole life to one sport, but that same dedication is giving us something extra to bring to the table. 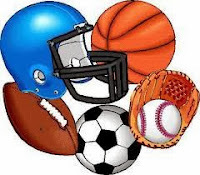 With only 3% of high school athletes going on to compete in college athletics, maybe we are a little crazy for the amount of time we dedicate our teams, juggling school and sports, and working our tails off at practice. But hey, maybe that little bit of crazy is what sets us apart from other job candidates. This entry was posted in Interviewing, Resumes, Student Organizations and tagged Interviewing, Resumes, Student Organizations by admin. Bookmark the permalink. ← Previous Previous post: Stepping Up to Service! Next → Next post: I have a LinkedIn account, but how can I use it effectively?